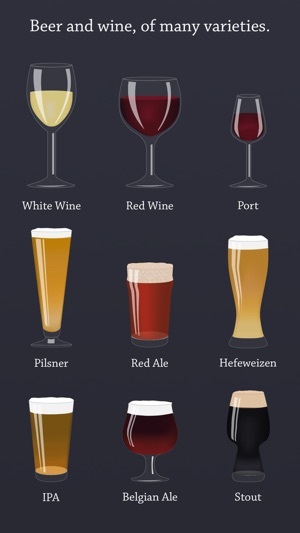 Cocktails, Beer, Wine, and more! Celebrate the art of mixology with this set of hand-crafted stickers. Whether you like fine cocktails, craft beers, or a nice glass of wine to unwind at the end of your day, these stickers will help you communicate your mood to your friends in a fun and beautiful way. 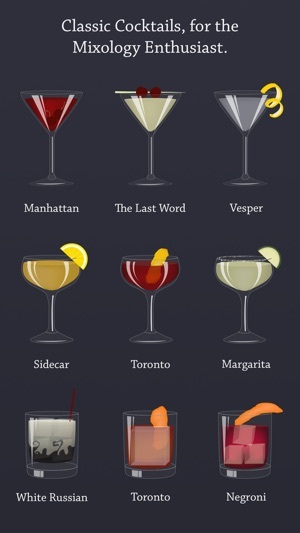 Several varieties of cocktails, from the Manhattan to the classic Old Fashioned, are represented, along with beer varieties such as the Pilsner, IPA, Belgian Ale, and Stout. 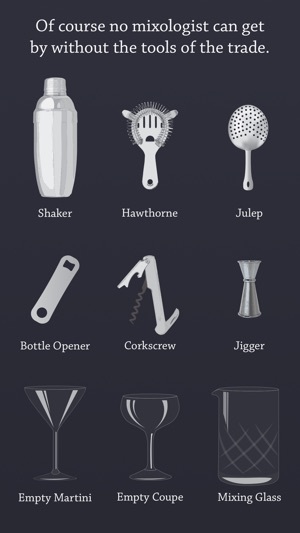 There are even some bonus accessories, for those of you who dabble in the art of drink making yourself. • 3 new drink stickers! If you are enjoying the Mixologist, feel free to leave a review on the App Store. It really helps. These drinks are beautiful to look at, and perfect for adding a hint of fun and class to your messages. 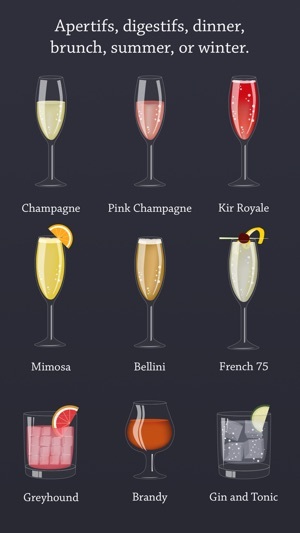 Whether you are a fan of the Kir Royale in a champagne flute or Lynchburg Lemonade in a red Solo cup, your tastes are covered. I love the frequent updates for this sticker pack. 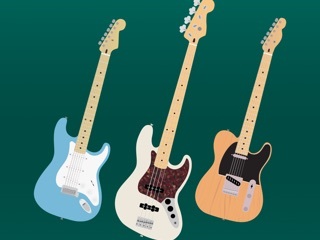 Thank you for adding the Aviation! 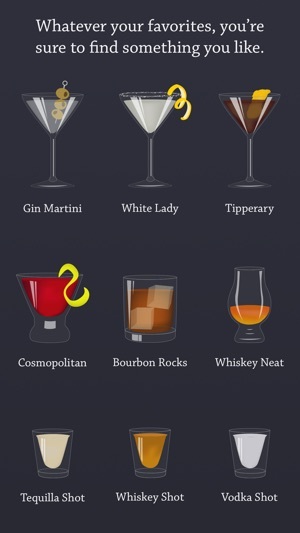 The pack contains great selection of classic cocktails, with well-executed illustrations and a consistent style. It's the perfect tool for persuading your friends to ditch work early and join you for happy hour. Great set of stickers, but they don't look very nice against the white backdrop of the Messages app because the outlines of the glasses are almost completely transparent. Please add more distinct outlines so that these stickers are a little more useful.